Shockingly, most parents do not accord visual discernment the importance that it truly deserves. To the uninitiated, visual discernment is the skill of identifying distinctive features in images. It is this skill which enables people to distinguish the different words in written sentences and read it confidently. While most people might argue that these skills develop naturally without any special consideration, getting a jump on the development of these skills will make kindergarten kids both confident and motivated in their academics. It is the mastery of simple skills like these, which differentiates the overachievers from the rest. Realising the importance of early development of visual discernment, kindergarten schools in Singapore are now deliberately integrating exercises which focuses on visual discernment in their lesson plans. This can be easily confirmed by going through any books of Singapore Kindergarten. In this article we shall discuss what is the importance of visual discernment. Lack of sufficient expertise in visual discernment among kids is a serious cause for concern for both teachers and parents alike. 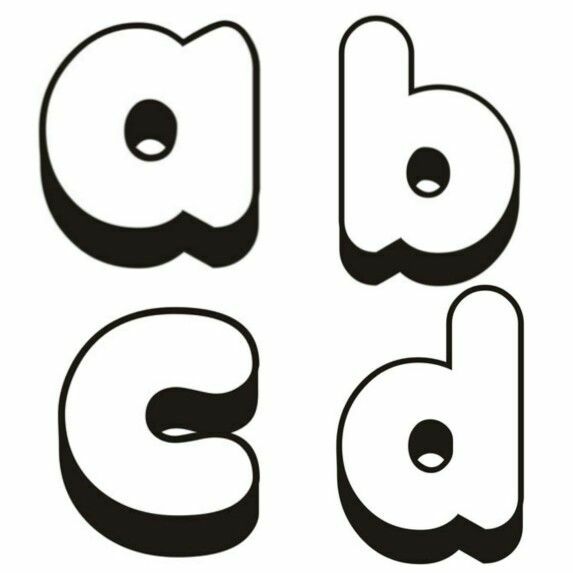 Without it, kids will never be able to make out the different letters and numerals, thereby complicating learning entirely. Additionally, lack of visual discernment can also affect the confidence levels of kids in tackling difficult tasks, this lack of confidence will be difficult to overcome if it is not dealt with when the kids are young. Most experts are of the opinion that, development of visual discernment directly affects the development of social skills in kids. In light of this fact, visual discernment becomes even more important, as social skills are absolutely essential for everything in one’s life. Fortunately, developing visual discernment skills is not as tough as developing most other skills. In fact, many of the visual discernment exercises can be easily concealed in fun games and activities. Additionally, there are plenty of worksheets which aid in the development of visual discernment, freely available on the internet. Just by doing a little bit of web research, parents can easily find these worksheets and print them out to enable their kids to work on their visual discernment skills. Apart from these worksheets, games like find the odd one out or puzzles which involve finding the hidden items in pictures can be made use of to develop visual discernment. In conclusion, visual discernment is a life skill that can benefit your child when he/she picks it up as early as possible. Besides relying on the kindergarten to develop this ability in your child, you should also take the initiative to train your child in this aspect. Childcare has become a big business opportunity. Most people look at the qualification of the teachers in the nursery school or the person who is managing the school. However, there are times when the parents overlook the matter of safety of the children in these schools. The child spends at least a total of 2 to 4 hours in these schools so it is only natural that the parents should consider the safety of the child above everything else. Governments usually need to have a standard size with regards to the premises and they also need to have a required level of hygiene and cleanliness. So why is it that safety gets overlooked so easily. It is important that the parents are made aware of the safety precautions that the parents have to consider while sending their children to nursery schools. Often nursery schools are located on main roads and do not always have parking space for the parents or the caretaker. This makes it important that the parents find a safe place to pick up and drop off their kids. While some schools have parking spaces others can also make sure that there are teachers who wait outside to pick up your children from the vehicle and take them to the school. It is also important that the schools have gates that are well sealed and are guarded all the time. The adults of the school should also make sure that they securely close all the gates every time they pass through it. The school is only as secure as you keep it so parents, as well as teachers, can work together to keep the school secure. Security guards should also ensure that the gates are closed at all times. While the child is in school it is the job of the teachers to ensure that they are safe, however, they should also make sure that after the school day is over they are turned over to only the parents or authorized persons. In addition, it is the job of the school to keep the best interest of the child in heart. This is why if they suspect that there is any serious concern about the well-being of the child they would be forced to inform social security about the same and most appropriate action would have to be taken. Do you have a child who is currently in kindergarten? Or do you have a child who is about to enter kindergarten? If yes, then this article is for you. We all know that kindergarten classes prepare a child in different aspects before entering grade school. It is where they meet new people like teachers and classmates who could enhance their social and communications skills. It is also where they learn the numbers, alphabets, and shapes, the basics of reading, writing, counting, and such. There are several pieces of information about kindergarten that we as parents must be aware of to ensure that our child experiences the best. If you are keen to send your child to a quality preschool, do check out Chiltern House. You should also check Chiltern House Review for an honest review of the school for a better understanding of the school. Among the things that children learn in kindergarten classes, reading is one of the most important. Schoolahoop will tell us seven important benefits of reading to your kindergarten child. It makes a tremendous difference in the transitioning your child from a toddler to a kindergarten. These experiences can occur by simply reading books to your child. Read more here. A kid who doesn’t have even just a bit background and knowledge with reading could probably be hard up with learning coping with his/her classmates. However, Gaye Groover Christmus stated in her article below that there are other things worse than not learning to read in class in kindergarten. Let us find out about it by reading her article below. If Sam had started first grade this year, however, he probably would have been labelled as “slow” or “behind.” Because the new standard is that children should learn to read in kindergarten. Even though most educators know that many children aren’t ready to learn to read until first grade. Even though countries like Finland educate kindergarteners by allowing them to play, not teaching them to academic skills. And even though the new standard causes teachers, parents and even children themselves to worry that something is “wrong” if children aren’t reading when they arrive in the first grade classroom. Read more here. Everything mentioned above is actually so true. It is normal for a child to be a bit slow with learning things. There should be no big problem with that. In addition, Jessica Smock stated that everything she knows about the kindergarten before is different with the kindergarten now and that is why many kindergartens in Singapore like Chiltern House preschool have a curriculum that caters to the learning needs of different learners, more information can be found at their page here. Even with a good curriculum, sometimes as parents we also need to whether our child is ready for kindergarten, after all the learning pace of every child is different. Let us read her explanation below. When people — including his preschool teacher — started telling me that I should wait a year before sending my son to kindergarten (in other words, “redshirt” him), my first reaction was confusion. He turned 5 during the spring before kindergarten. Five-year-olds go to kindergarten. End of story, right? Sure, he was “young” for his age: He had trouble paying attention during his lessons in preschool and with writing his letters legibly. He showed no sign of interest in learning to read. But, I thought, what in the world would he be doing in kindergarten that was so hard? When I went to kindergarten in the late 1970s, my classroom had a giant slide and a sandbox. Kindergarten was half-day, and we spent most of our time playing games on the playground, building with blocks, and lying down on our nap mats as our teacher read stories. Read more here. As time passes by, things really change that is why we shouldn’t expect everything to be the way they usually are. It was easier way back then because there was no much pressure given to children when it comes to learning. Things are incorporated with play that is why children learn faster. They say that the method today is heavier and more complex. With that, we could help our children by practicing them through play and fun and by not letting them feel the pressure and hardships more. Also, if we feel that they still can’t do it, don’t insist. Wait until they are confident that they can do it. Putting your kids in a preschool is certainly a wise step because the kids will learn to indulge in activities as a group. This will help them acquire social skills. Even those children who have a poor attention span can get rid of that problem if they attend a . But how can you ensure that your children derive the maximum benefits from the preschool they are attending? Let us find out. Every evening after your children come back from their preschool, make it a point to ask them about what they did during the day. In fact, this will improve their enthusiasm level because a good preschool may have infused ample doses of fun in their activities. When your children explain to you about those activities, their excitement will multiply manifold. So, they will be eager to attend the school without missing even a day. Not only that, a good preschool may teach numbers, letters and concepts in a fun-filled environment. By discussing about all these things on a daily basis, you will create an indelible and ever-lasting opinion in the minds of your children that learning is fun. It is a known fact that if children enjoy learning, they will not only learn faster but will remember what they learn at the preschool for ever. There may be young kids in the homes of your friends or relatives. You can request these friends, relatives or neighbors to send the kids to your home in the evenings so you can form new groups. You can send your children to their homes also. In these groups, children should be asked to share whatever they have learned at their preschools and whatever activities they have been involved in with each other. As parents, you and your friends, relatives and neighbors should encourage the kids to have fun and enjoy during these after-school sessions. This exercise, if carried out on a daily basis, will bring about a manifold improvement in the people skills of the children. Remember that the aim of putting children in preschools is not only to improve their academics but to improve their behavior management and interpersonal skills as well. This will help them grow into responsible adults who know how to manage people. They are likely to become very good leaders. When they land jobs in reputed companies, they will be able to interact with their peers, seniors and subordinates more effectively. This will help them climb their career ladder faster. On the other hand, if they become entrepreneurs, they may be able to succeed more quickly, thanks to their people management and interpersonal skills. In general, young kids ask a number of questions. Though there are parents who get irritated when their children ask questions, you must try to be different. This means that instead of getting irritated, you must listen to their questions and give appropriate answers. Sometimes, the questions posed by children may be unanswerable or you may not know the answers. In such situations, you should not make wild guesses and give wrong answers. Instead, you can tell the children that you will give the answers later. In the meantime, you can make efforts to find the right explanations and provide your children with them. The point that is emphasized here is that you must encourage the inquisitiveness of your children. This will help them seek clarity whenever they are taught difficult subjects at their preschools. Of course, kids can learn the lessons taught at the preschool level very easily because teaching happens with the help of a lot of fun and play activities. But if children learn to pose relevant questions, they can learn more effectively. If you follow the above ideas, you can certainly ensure that your children derive the maximum benefits from seeking a preschool education in singapore . Of course, you can try to come up with several such ideas to increase the efficacy of the preschool education you give to your children. Marine cargo insurance is associated to the risk factors in transportation of goods by the sea which is covered by an insurance policy. As insurance has become a major factor to compensate risk for cargo as well as life, new and improved policies are made to help traders cover every aspect of the trade. As there are different parties involved in the policy, each is affected in their own way due to which a well-drafted contract is essential. 1) The insured is the person who purchases the insurance in order to safeguard his cargo and have financial backing when losses are incurred. He is also called the beneficiary as the compensation claim is given to him. Insurance Broker – He works on behalf of the insured and fulfills the formalities that the insured is unable to spare time for. He is generally paid on a commission basis. Some also take up the responsibility of collecting the insurance premium from the insured. Loss Adjusters – They work for the underwriter. They conduct surveys to evaluate and negotiate claims. They participate actively in settlement of claims. Surveyors – They engage in carrying out surveys to inspect cargo, transport facilities and the situation surrounding the claim. The insurer is provided a survey report. Loss Assessors and Claim Consultants are requested to help present and negotiate claims. Settling Agents and Managing Agents – the underwriters appoint agents in cities around the world who settle claims when the insurance involves that city. The more global the business, the more middlemen are required to help with the documentation of insurance policies. Though digital documentation is the most accepted form of paper trail, yet the involvement of middlemen for large – scale businesses is the way to go. Professional Indemnity Insurance, also called PII or PI, is a kind of insurance cover that aims to protect professionals from compensation claims made by business clients. If you commit a mistake unintentionally when practicing the profession and it leads to damage to property and life, having a PII in place can protect your business. Professionals who provide services, or any kind of product to their clients, do so with good intention, but sometimes it may so happen that the client may be dissatisfied or an employee may commit a mistake. In such cases, if the client files a legal proceeding against the business, it’s highly valuable to possess a PII. Different kinds of business have different requirements. For instance, a consumer product manufacturer will require a different type of protection when compared to a construction company. PII policies can be customized to meet the specific business needs, so it’s not difficult to find a policy that suits your specific requirements. Taking into consideration that your business is protected and you can also get a customized policy to meet your business requirements, it’s important that you consider buying a PII for your business. A PII policy will cover all kinds of legal expenses that your business may incur and also the payouts to be made when there’s a legal proceeding filed by a client. The other benefit is that it will pay for settling a potential court case or claim out of court. This is highly advantageous since it is better that the reputation of your business isn’t at stake because of going to the court. Next, PII will not only cover your business, but also your employees for negligence. This includes civil liability (contract breach or payments not made), duty breach, and infringement (damage or loss of your client’s data and records or any intellectual property infringement). In all of these cases, your client could sue you and this could result in vast financial expenditures and reputation loss. If it’s unavoidable to go to court and your employee or business is wrongly accused, PII policy may let you hire professional defense lawyers to ensure that you win the lawsuit. This way, you will be safeguarded from legal liability. Many business owners feel that professional indemnity insurance is a costly affair, but it’s negligible when compared to the compensation claims that you could end up paying out. So, it’s high time you consider availing one for your business. The main crux of running a business is being flooded with new ideas constantly. However, in order to give shape to these ideas, one needs people. There has to be human resources who take up the task of executing the ideas that the business leaders come up with. Ask any business leader, and they would surely say that one of the biggest challenges of running a business is finding the right kind of staff. Even if you happen to find a set of talented and responsible staff, it would be a mammoth task to retain them in your company. Thus indeed people are the most important factor in a business. The secret of a successful business is the meeting of the right ideas with the right kind of people. For example, if you have the right kind of team and a good idea, then your business can surely make a million. However, paying a high salary is not enough to retain good and talented people in a company. There are many factors that one has to look into. One of the major factors being making the workplace pleasant so that employees feel like coming to work in the very first place. Secondly, in big corporates, resolving internal politics amongst team members is also another task. However, there are certain employee benefits that every company has to give. Singapore is a place that has many big corporates functioning on its soil. These corporates provide many benefits to their employees. One such employee benefit is commercial insurance in Singapore. This commercial insurance in Singapore gives a lot of facilities to the employee. One such benefit is the mediclaim facility that the company provides for the employee and his or her dependents by tying up with an external insurance agency. The premium for such insurance policies are paid by the company. No money is charged from the employee. Another example of such commercial insurance is workmen compensation that these agencies provide on behalf of the company for any accident that the employee might meet with while on duty. There is also another kind of commercial insurance called the group insurance that ensures the employee’s family receives a certain amount of money if the person dies while on duty. These are the various types of commercial insurances in Singapore and elsewhere that often facilitate the employee retention policy of a company.